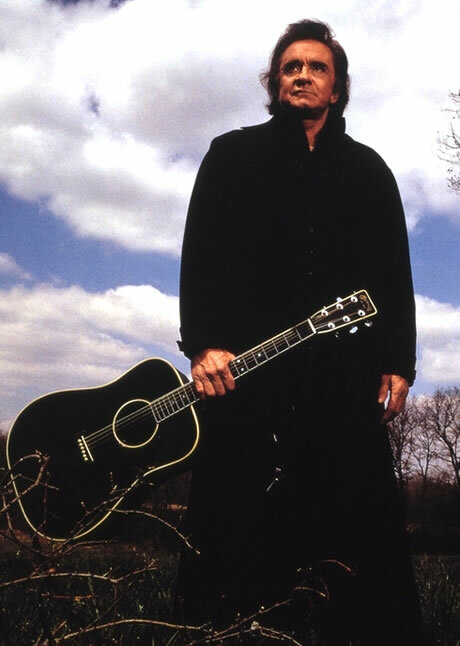 "The Man in Black" is one of Johnny Cash's signature songs. In it, he describes the social iniquities that led to his choice of wardrobe. Becoming the man in black was, then, a form of protest against injustice. According to Rolling Stone magazine, however, the choice was far more practical; an all-black wardrobe was easier for band members to match and keep clean on a long tour. In fact, during his early years, Johnny Cash was teased and nicknamed "Undertaker" by other artists. Nevertheless, the gimmick worked and just about everyone knows who "the man in black" is. Cash is also one of the rare artists who has been able to transcend genres. He is revered (rightfully so) for his contributions to country music, but he was never content to stay within the boundaries of that style. Cash recorded a duet with Bob Dylan, performing the latter's "Girl From the North Country". He covered the Nine Inch Nails song "Hurt" and performed a duet with Fiona Apple, covering Simon and Garfunkel's "Bridge Over Troubled Water" on his 2002 album, American IV: The Man Comes Around. Cash also teamed up with icons such as Ray Charles, Willie Nelson, Waylon Jennings, and many others. He recorded albums with his wife, the talented June Carter-Cash. No matter how much time goes by, no matter how "mainstream" or popular his songs get, Johnny Cash's music remains relevant. 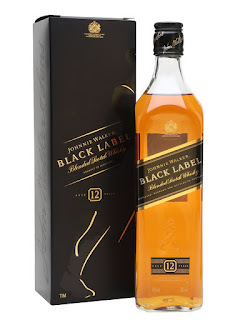 I'll go out on a limb and say the same timelessness and versatility applies to Johnnie Walker Black Label 12 Year Old Blended Scotch. Hear me out. 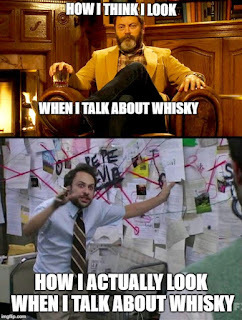 Johnnie Walker is undoubtedly the most iconic scotch brand in the world. It sells 10 million cases of whisky more than its nearest competitor (Ballantine's). The company was started by grocer John Walker, who sold spirits in Kilmarnock, Ayrshire, Scotland in the 1820s. John Walker had some success selling spirits, but it was his son and grandson, both named Alexander, who grew the brand into the giant it is today. Johnnie Walker's square bottle and 24 degree angled label were introduced in 1860, and both served to distinguish the brand from its competitors. Today, the brand's lineup is distinguished by its colour-coding. The Black Label is created from approximately 40 malt and grain whiskies aged for a minimum of 12 years. This is, in and of itself, pretty impressive. 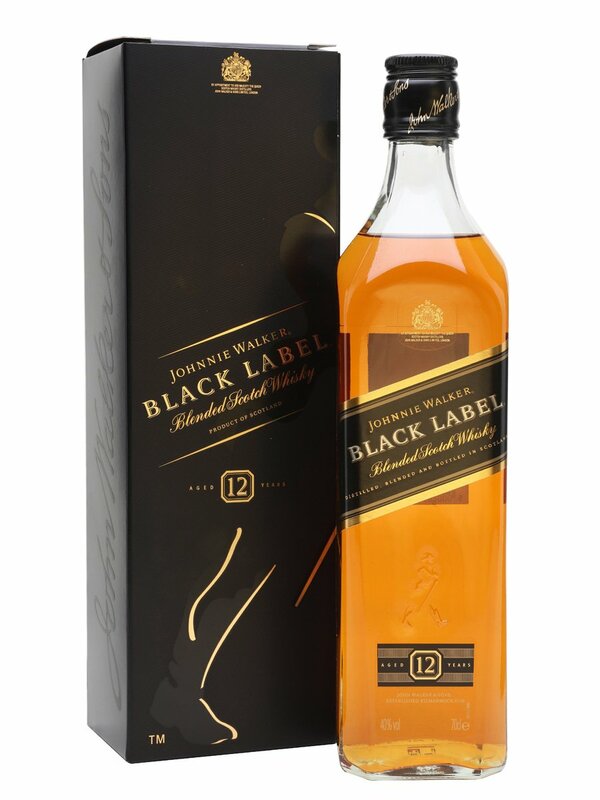 All whiskies have batch variation, but Johnnie Walker Black has, to my palate, remained remarkably consistent. There are a lot of reasons for this success. The Walker brand is owned by one of the biggest alcoholic beverages company in the world (Diageo), giving the master blenders access to a large number of whiskies with which to work. For those who don't know, there is no Johnnie Walker Distillery. Their blended whiskies are created using whiskies from Diageo-owned distilleries, such as Cragganmore, Caol Ila, Talisker, Lagavulin, Cardhu, Oban, Glenkinchie, Clynelish, Linkwood, and others. Blending is an art unto itself and Diageo employs some of the best. Finish: Medium length, earthy peat, wood smoke, raisins, and malted barley. Adding water tones down the sweetness a bit and pushes the smoke to the tail end of the finish. It may be denounced as whisky heresy by some, but Johnnie Walker Black Label is terrific with club soda or any sparkling water, like Perrier. I like to call this cocktail the Hitchslap, as it was reportedly the late Christopher Hitchens' favourite drink. Say what you will about Hitchens, but he was erudite, entertaining and always unabashedly honest. I have two minor quibbles with this whisky. The first is the 40% ABV bottling. I'd like to see it bottled at a minimum of 43% ABV, or even 45%. I'd also like this whisky to have a bit more smoke and peat, but for some reason whisky companies don't want to base all their business decisions on my personal wishes. Oh well. Forget those who deride blended whisky. Johnnie Walker Black Label is a consistent, well put-together whisky. It's a testament to the skill of Diageo's blenders. It is remarkably consistent and works in just about any context, much like the man in black himself. Johnny Cash was honest and no-nonsense, and so is Johnnie Walker Black Label. This whisky is worth your time. I almost always have a bottle in my cabinet. Recommended.